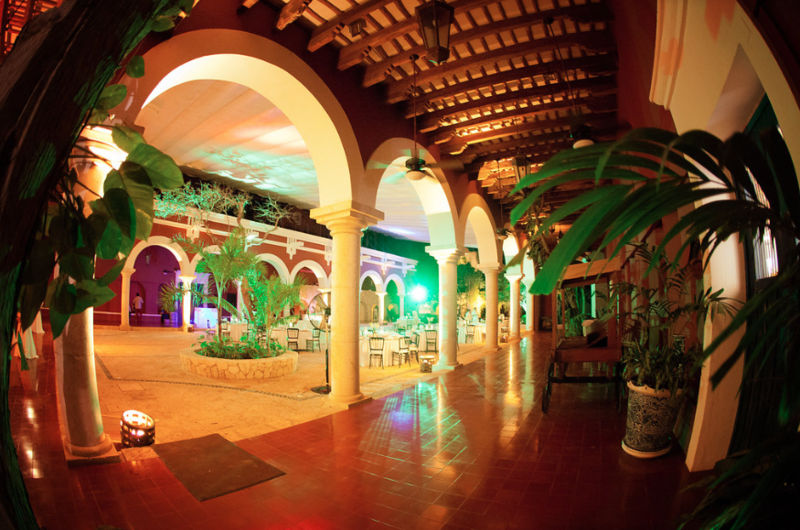 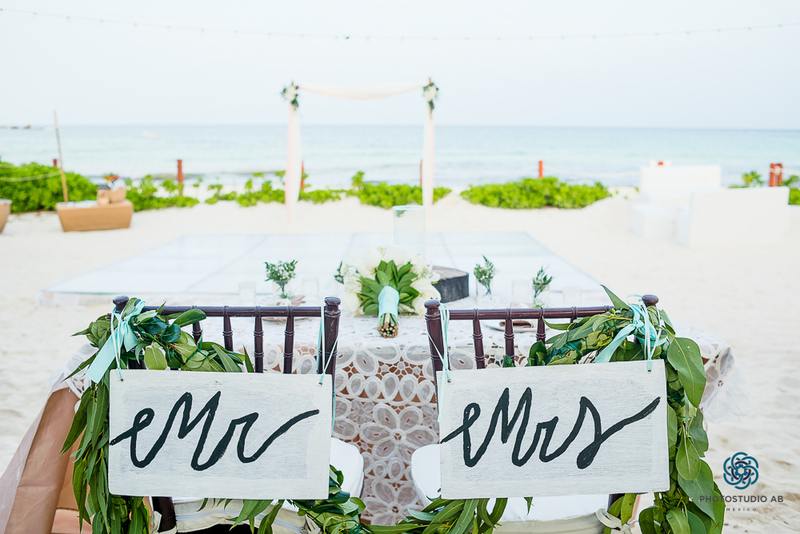 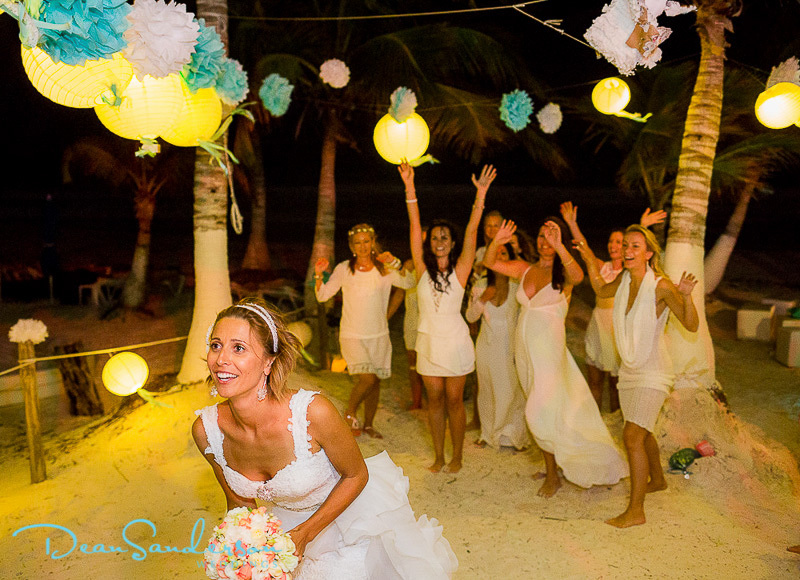 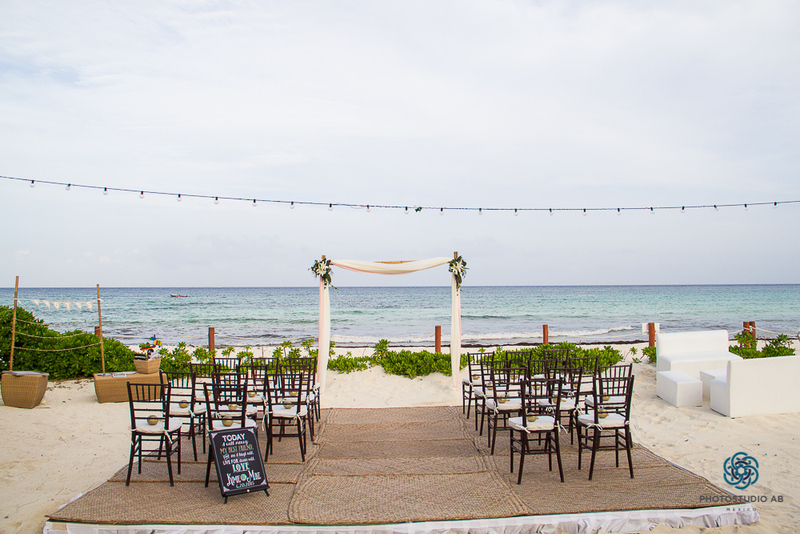 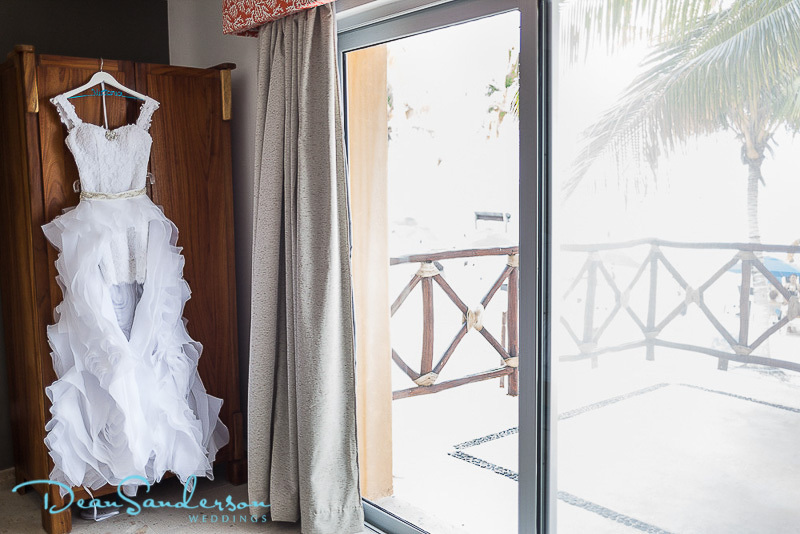 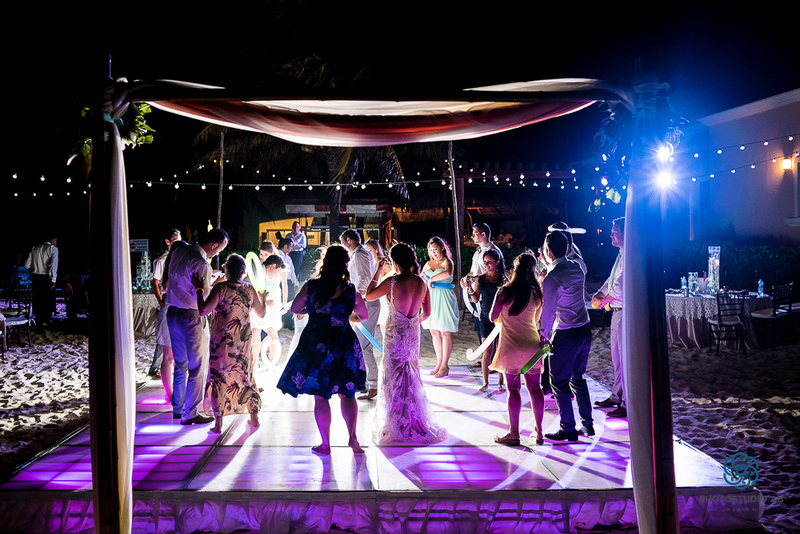 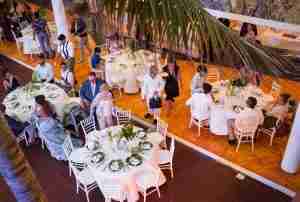 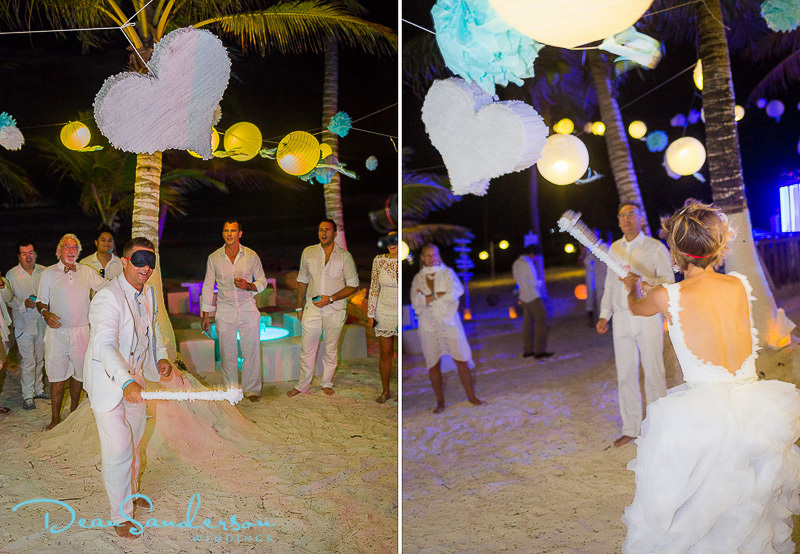 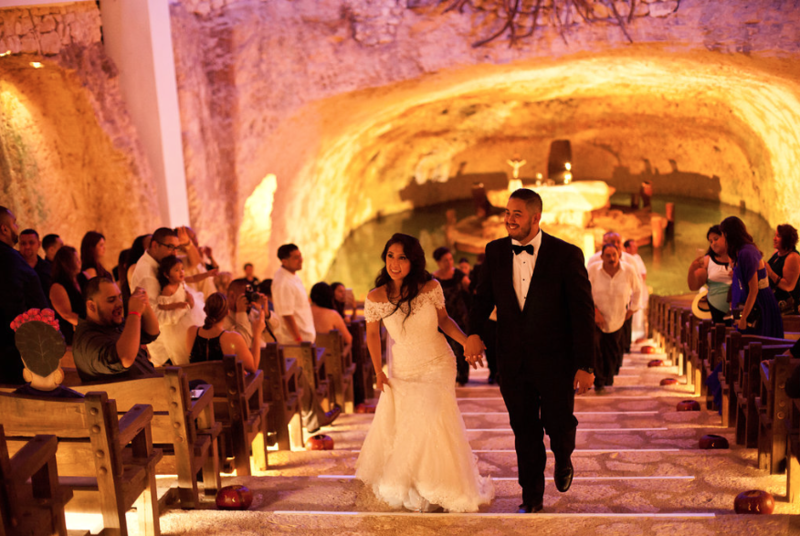 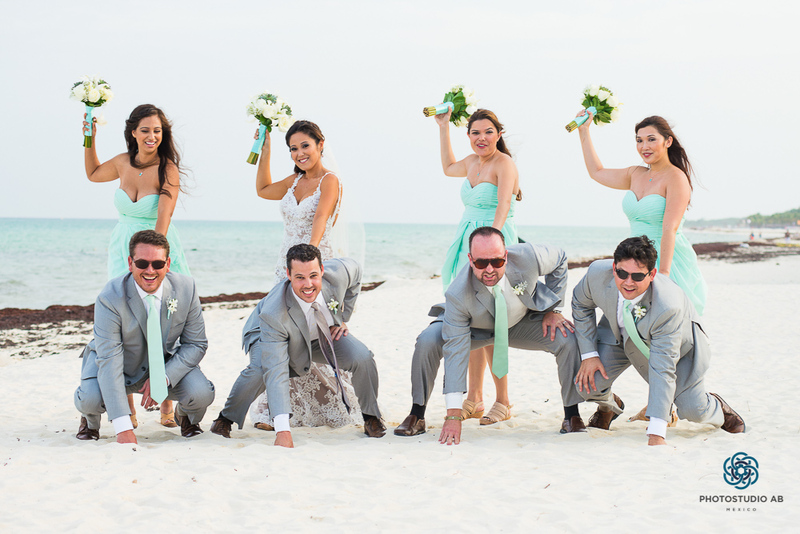 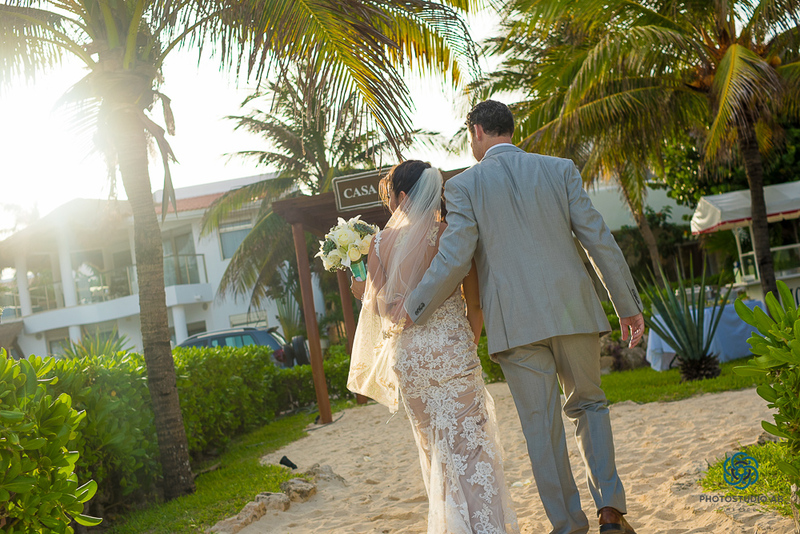 There is no shortage of pretty properties in Playacar capable of hosting the perfect wedding. 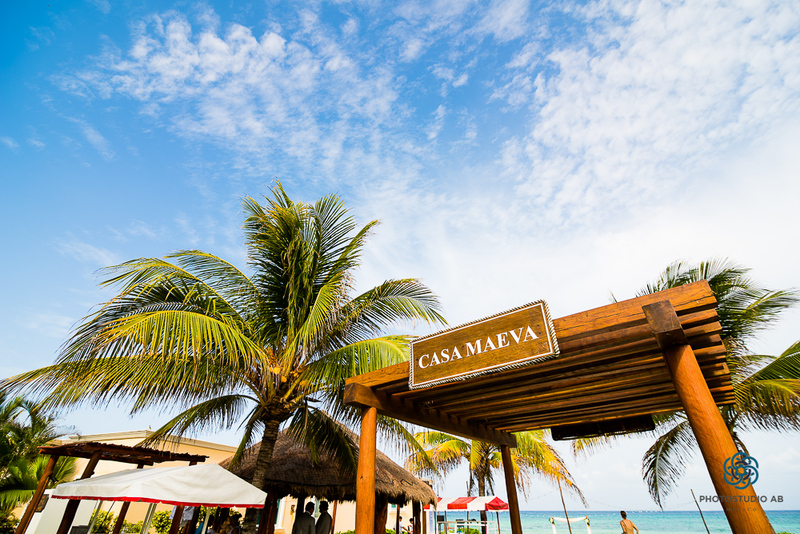 Kimie and Mike chose Casa Maeva, a large home with pool, jacuzzi, beautiful beach just steps from the door and sprawling property ready for a fiesta. 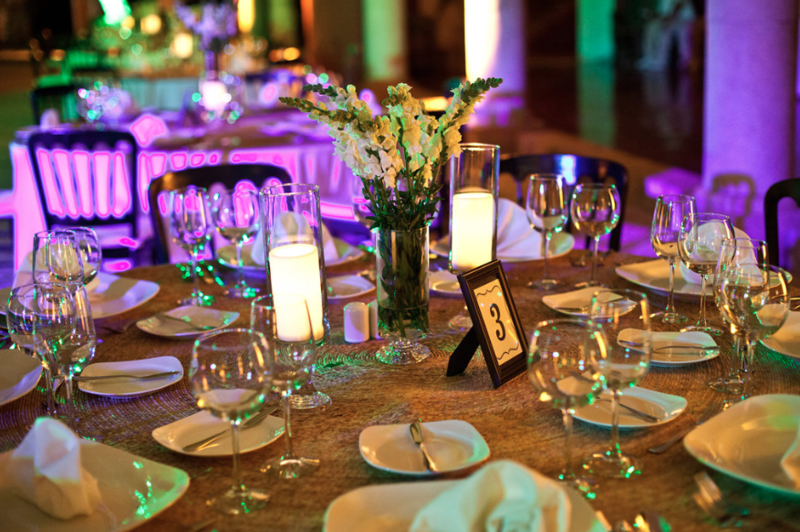 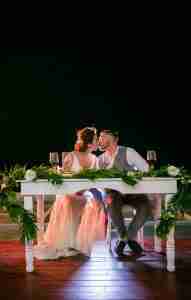 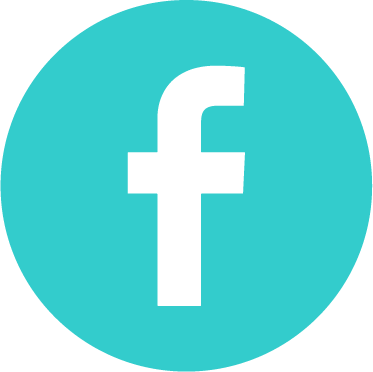 A lot of work goes into a planning a wedding at a Villa and not a venue or hotel that already has the basic needs… tables, chairs, dance floor etc. 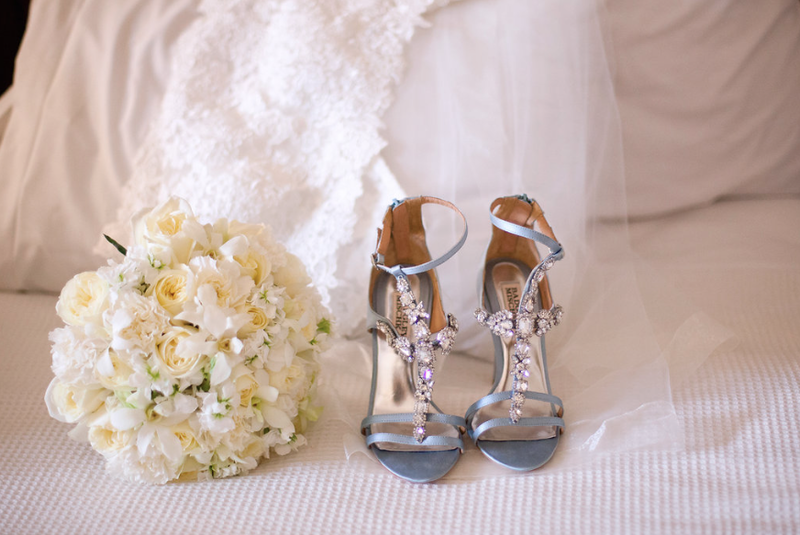 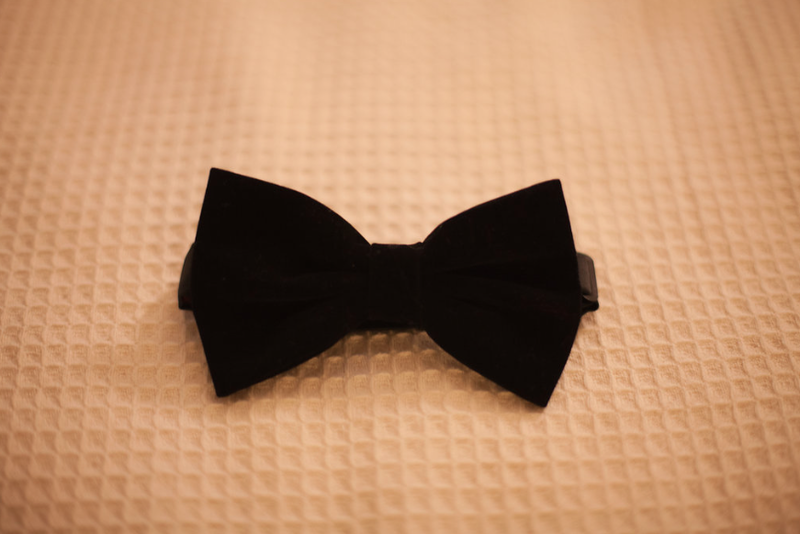 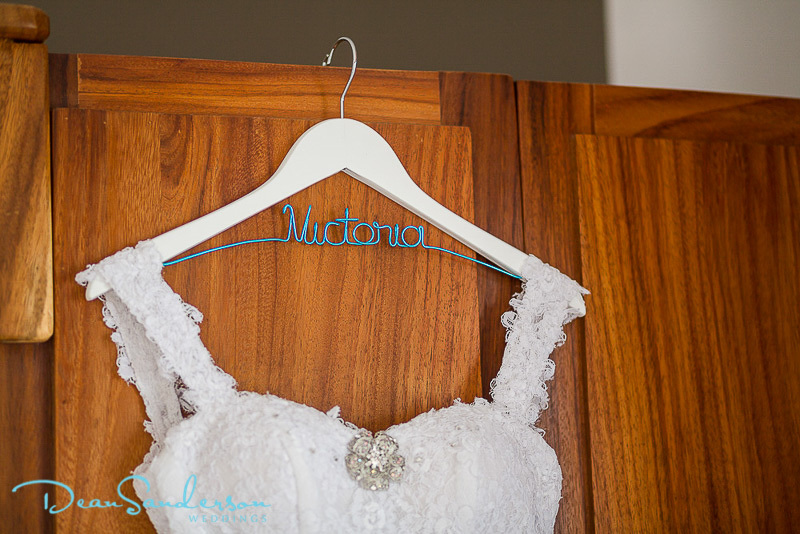 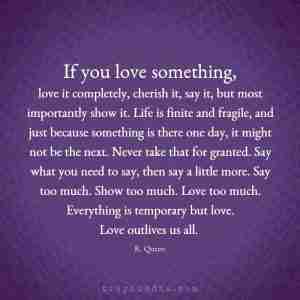 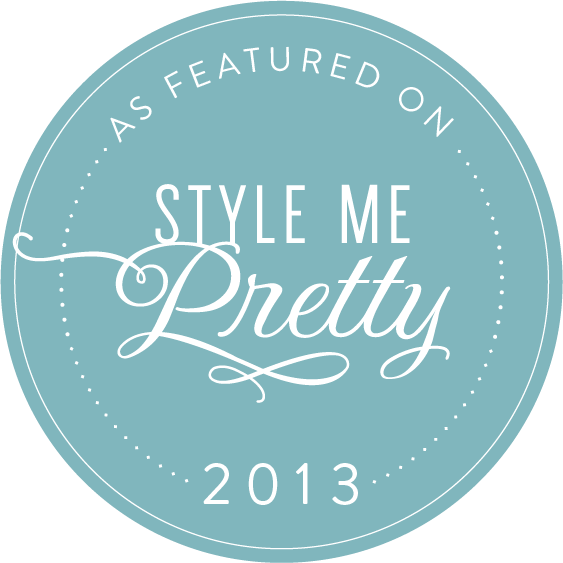 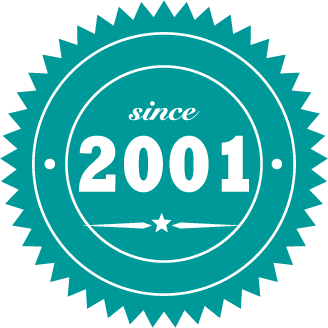 It’s great for our couples who love all of the little details as you get to chose everything! 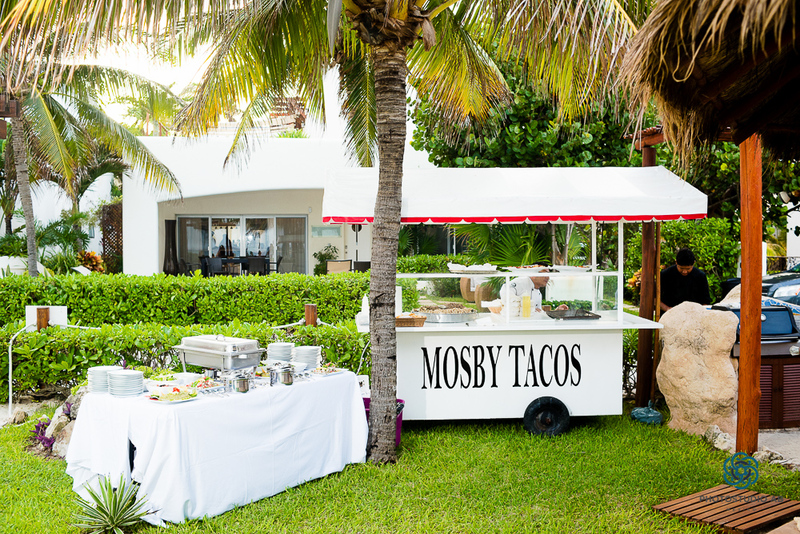 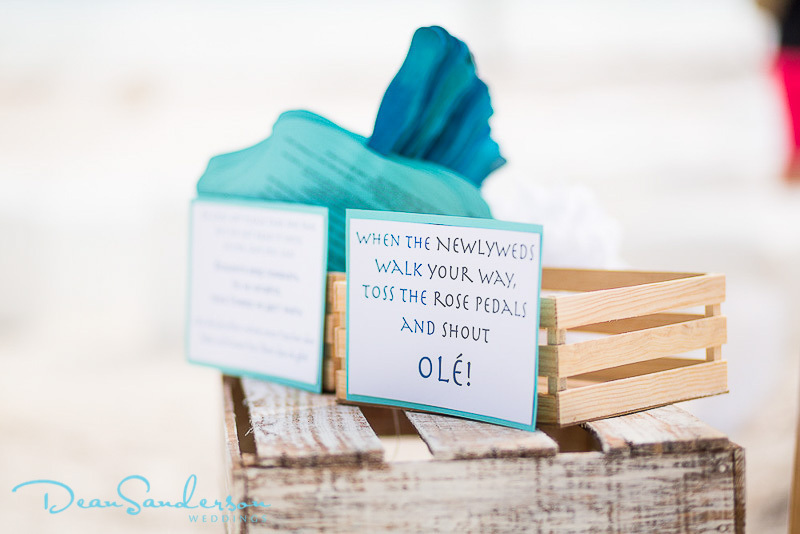 We had so many wonderful details to put together but our favorite from this wedding was the personalized taco cart! 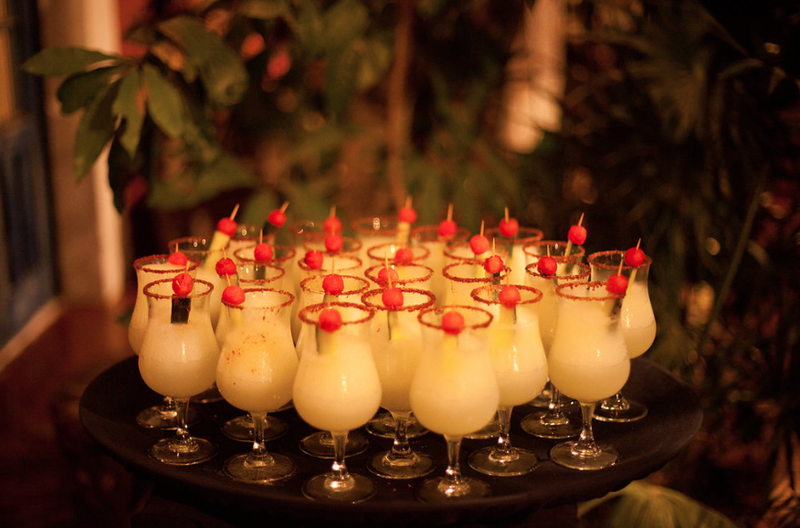 Chef Ruben Lopez catered the event so you know guests were happy and full of energy to dance the night away under the Mexican stars! 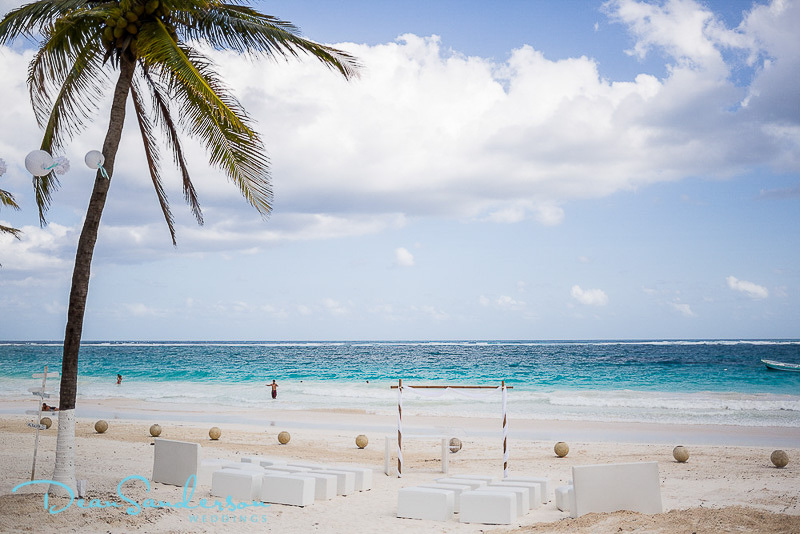 The beaches of Tulum are famous around the world and with good reason. 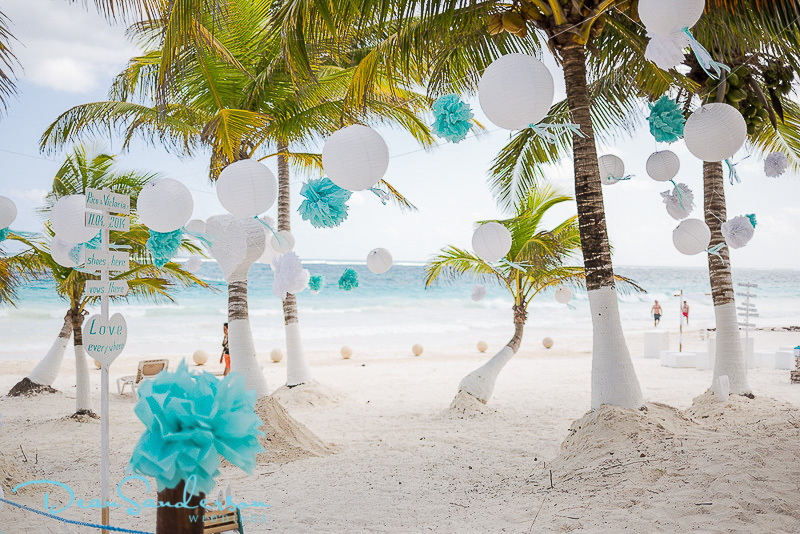 The sand is powder white and soft, the water is clear and the winding palms sway with every gentle beach breeze. 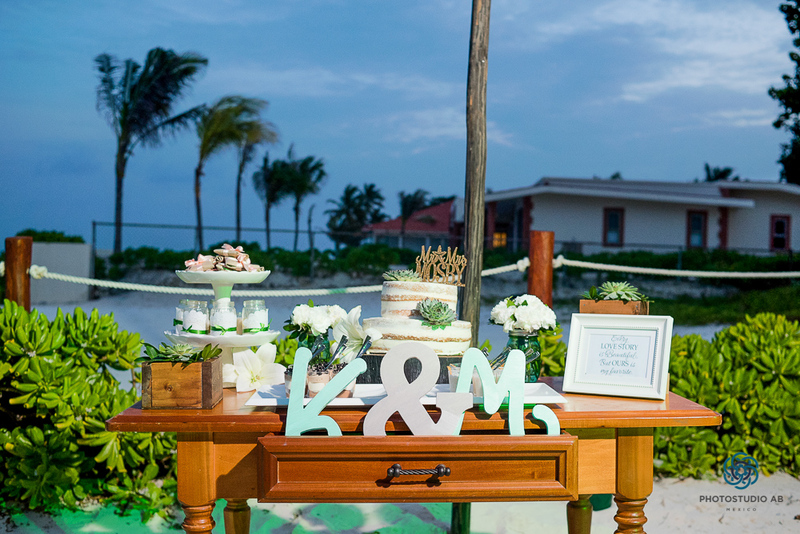 There is no question why Victoria and Rico knew at first sight, that they wanted to bring their closest friends and family to this slice of paradise for their wedding. 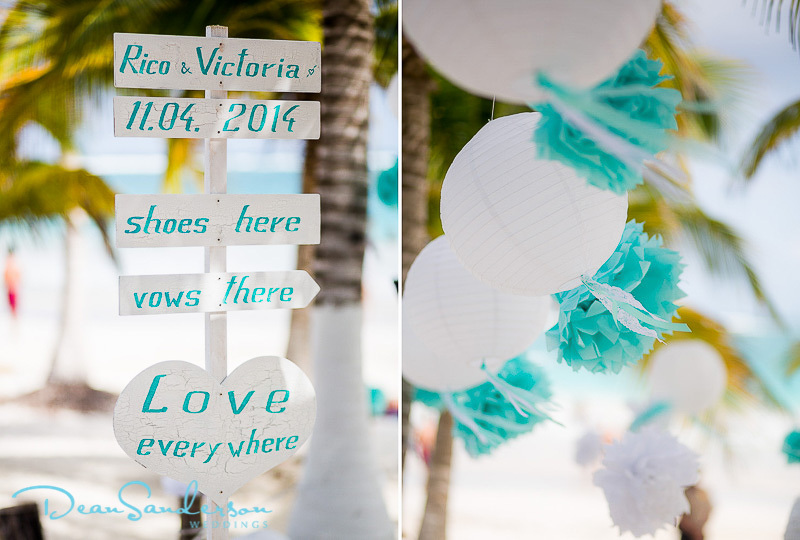 It’s hard to go wrong with decor when you have such a naturally beautiful venue, but the turquoise and white really was a great choice, matching the surroundings perfectly. 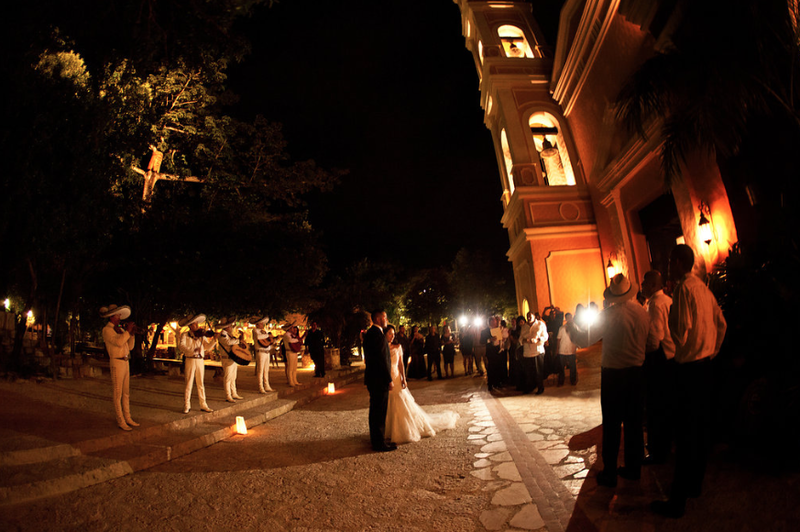 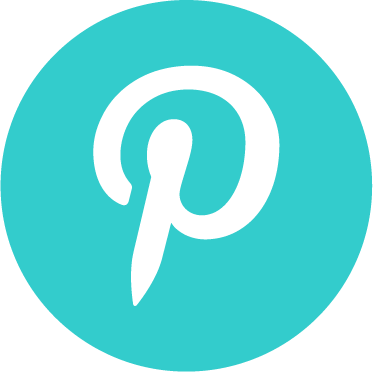 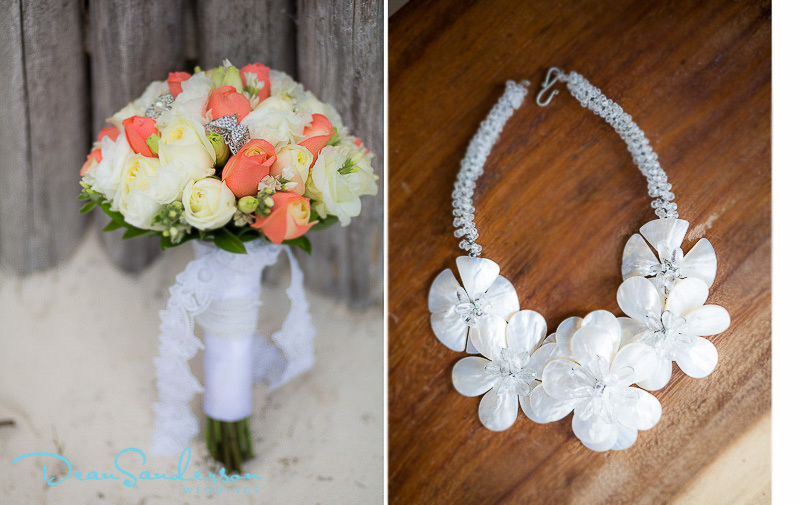 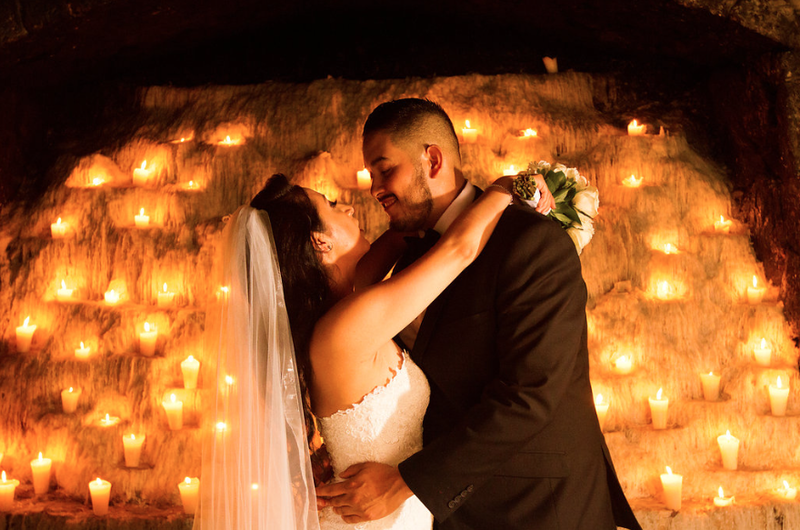 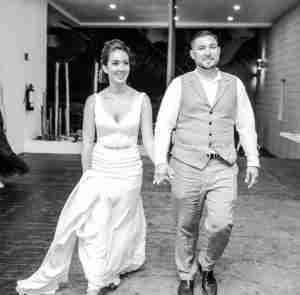 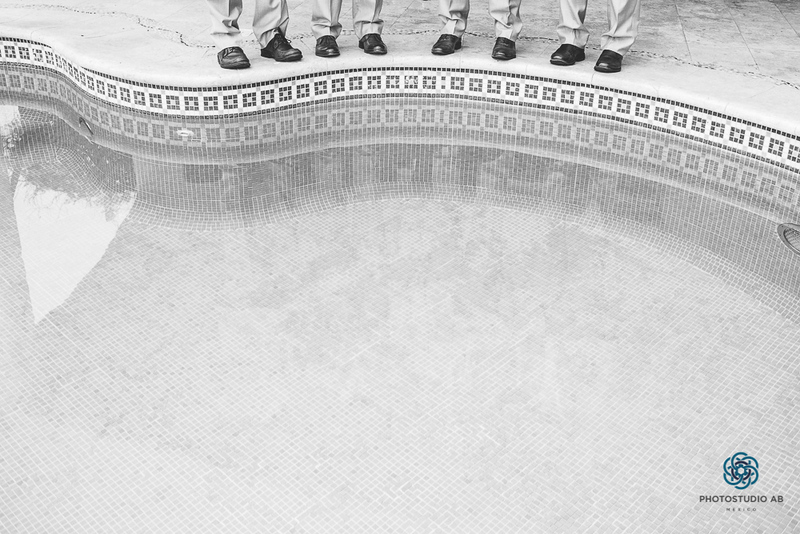 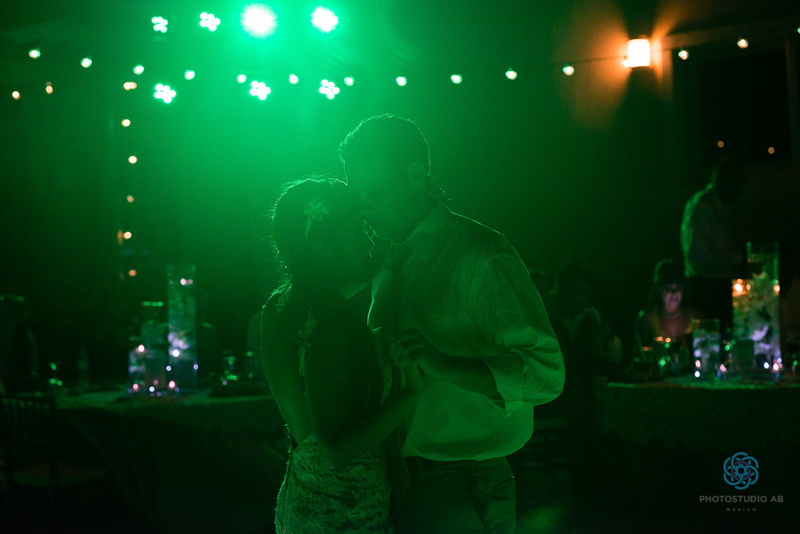 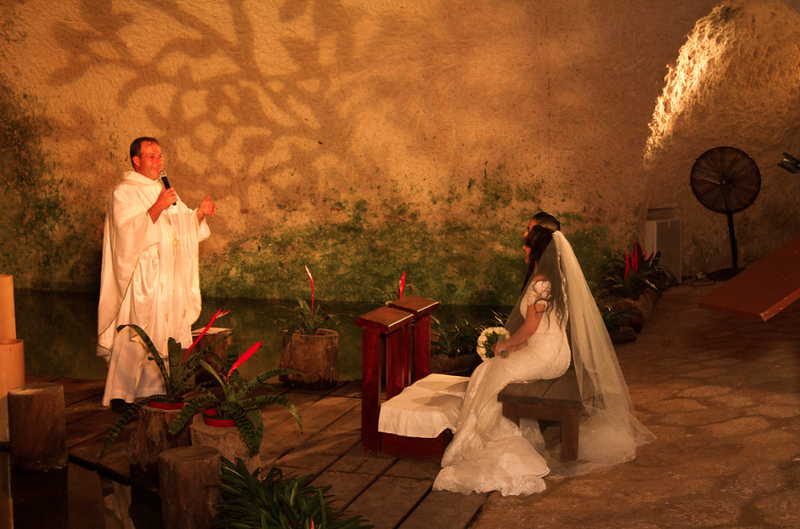 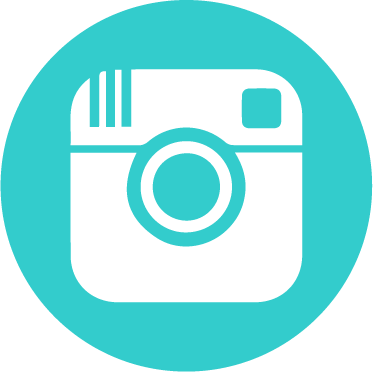 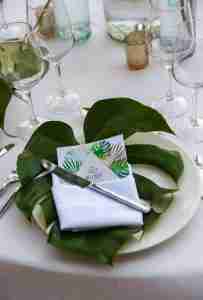 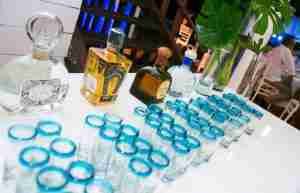 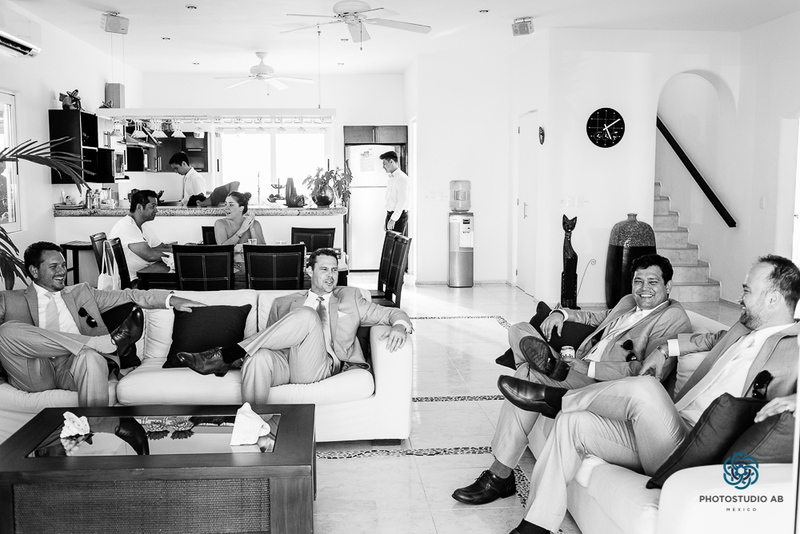 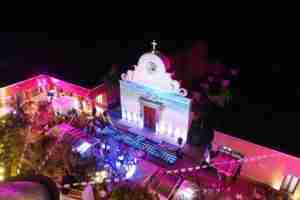 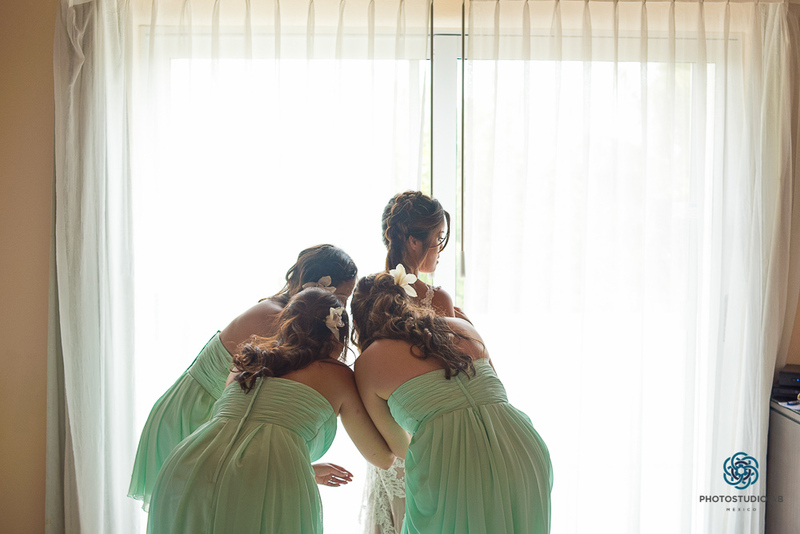 The wedding took place at a private villa, Hacienda Playa Paraiso. 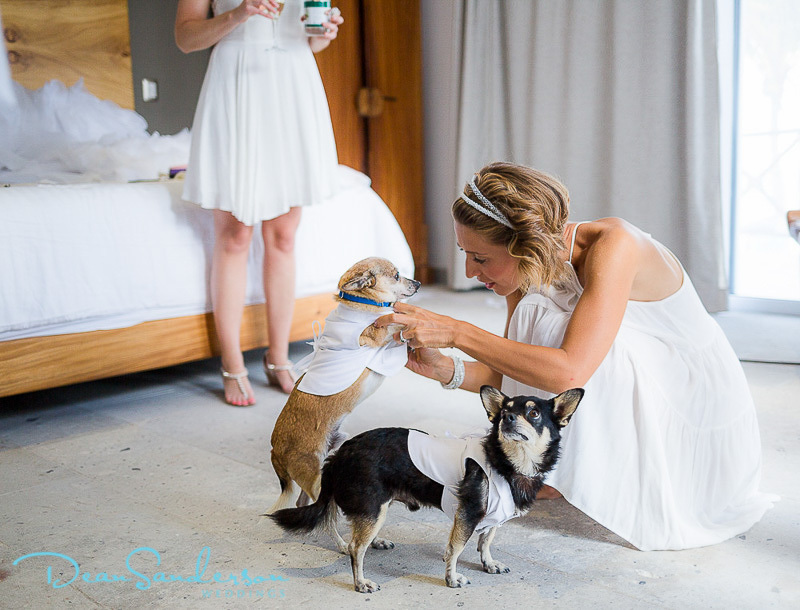 Special guests included the couples two adorable pups! 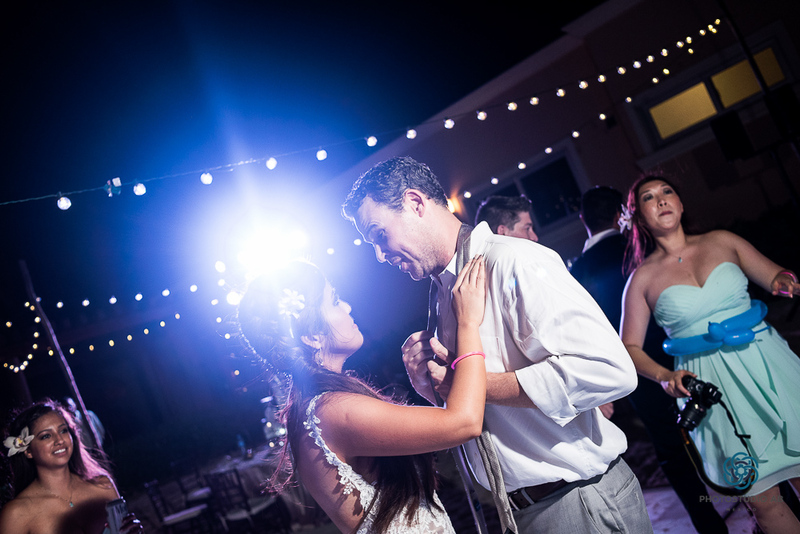 Chef Ruben Lopez created a delicious gluten free menu for the group and the party, complete with a wedding piñata, went late under the star filled sky!